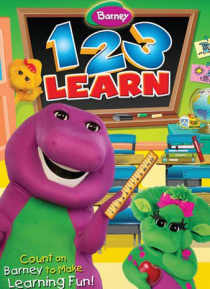 Come along with Barney and his friends for a Tee-riffic adventure filled with shapes, numbers and letters! Join Baby Bop as she discovers that counting can lead to hidden treasures and that there's a carnival of shapes and colors for all to enjoy. And BJ uses the alphabet to help Riff get ready for his music concert in the park. Barney can't wait to show you that shapes, numbers and letters are th… e ticket to fun and friendship!